By the mid 1980s virtually all soul and R&B was commanded by performers, producers and composers wrapped up in the new sonic developments of the time. The organic instrumentation, brass and orchestral accompaniment had been white washed out by machine rhythms, fairlights and synth fills. It’s not hard to understand either. The popular black artists of the time; Prince, Whitney Houston and Michael Jackson almost exclusively utilized modern technology, leaving the traditionalists as relics from a bygone era. 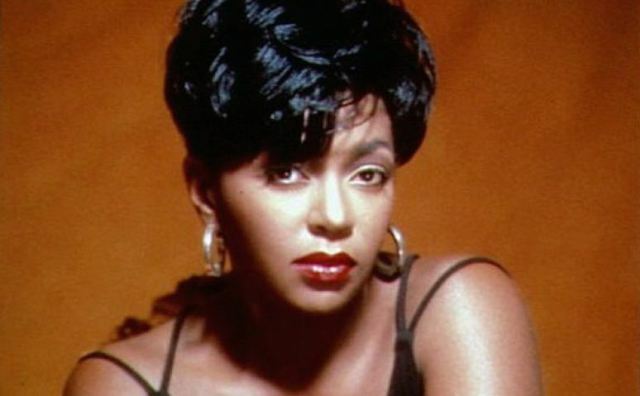 The timeless qualities of Anita Baker’s multi-platinum breakthrough was as authentic as anything from that era, and whilst her peers such as Aretha Franklin, Chaka Khan and Dusty Springfield attempted the modern styles with moderate results, Baker resolutely stuck to her guns for this lusciously sophisticated set of songs. In her words, “I knew what I wanted to sing, and I knew the kind of production I wanted, the dilemma was choosing a producer”. Her choice to helm the recordings was Michael J Powell, a former band mate and keyboardist of the Detroit soul band Chapter 8, who understood the value of a minimalist approach and therefore allowing Baker’s voice center stage. Elektra records, her record label, had the confidence not to interfere, which meant that she and Powell were creatively unhindered by any pressure to meet chart and fashion expectations. The results are at times astonishing, as Baker delivers a powerhouse performance that rivals her idol, Sarah Vaughan. The top notch session players perform arrangements that are subtle yet effective, and Powell keeps the emphasis on restrained warmth to complement the singer’s emotional and sensual alto. Apparently there were tensions during the recording sessions as Baker wished for a jazz recording, whilst Powell erred towards a slow groove R&B feel, and the combination of the two views is probably the reason this compilation works so well, as the compromise of both styles makes for a classy, mature recording that maintains its mainstream credentials. The Grammy award winning “Sweet Love” is the outstanding highlight, a song that celebrates love in all its glory, with Baker’s vocal, a mighty, dynamic force that soars with authoritative skill and deft touch. Her passionate Gospel training shines through on the glorious “You Bring Me Joy” and her re-working of Manhattan Transfer’s “Mystery” is remarkably assured. “Rapture” has that soulful depth, and sometimes breathtaking appeal that qualifies any classic album. The fact that it was released in 1986 detracts from its vitality. Had it been released twenty years earlier, the album would have been revered as highly as Aretha’s “I Never Loved A Man The Way I Love You” or Dusty’s ” Dusty In Memphis”. Nice – I picked this up recently but haven’t listened yet. Well said about how some albums would be rightfully considered ‘classic’ if they’d been released in a different decade. And if her idol’s Sarah Vaughan, I enjoyed her 1001 entry so this sounds even more promising! I really enjoyed Sarah Vaughan’s album too and at some time I’m going to invest in more of her recorded material. If there’s one thing about the book, it’s introduced me to a number of artists I would have never listened to.